Using Omron CP1L-EL with tcp/ip connection to printer device. im want to use signal for communication establish. 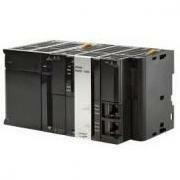 its available for omron plc. already test A313.00 and A315.10 but not work. im using TCP-IP Active open port. Yes, you need to investigate using socket services. He thinks it is not working, but he likely just has a typo somewhere, or his test client is not working.